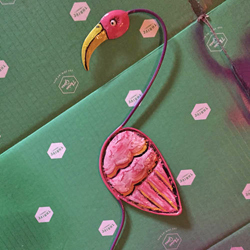 This weekend, update a tired flamingo with bright paints. rockingbearranch brightened this yardbird up a great deal, and even gave it false eyelashes. Here’s to a great pop of color in the garden!